Looking for Video Production Services in New York City? 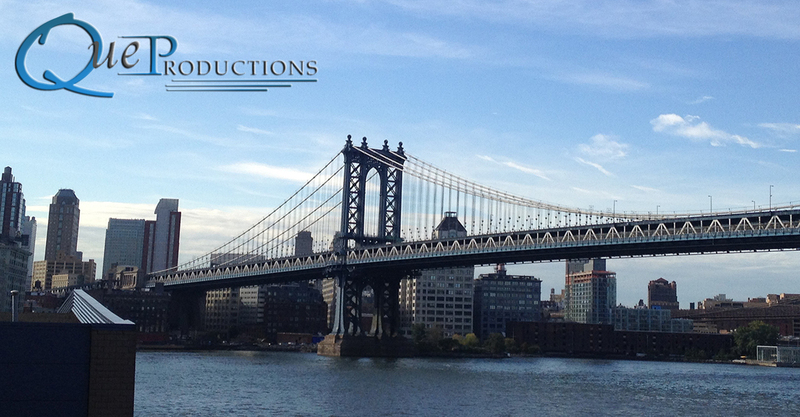 QUE Productions is one of the leading TV & video production companies in the New York area. We specialize in providing quality, affordable media, branded web content, TV commercials and corporate video production. Que does far more than offer you ordinary video production services, because it our goal to consistently provide our clients with solid production value, creative excellence and measurable results from start to finish. We understand how important it is for your video to impress your customer, which is why we are the right team to have in your corner. We are master craftsman. We take the time to light, set and shoot scenes that convey not only the spoken word, but the mood and emotion behind it. We then combine powerful editorial storytelling with sound and visual effects to deliver media that achieves excellent results for our clients. With a proven track record for producing top-notch media, the awards we’ve earned over the years are truly an honor and have allowed us the privilege of sharing those accomplishments with our clients. Our goal is to consistently provide media to our clients that has solid production value, creative excellence and measurable results from start to finish.